The sound of a whistle can grab your attention at once, even when you are completely wrapped up in an intense game. Have you ever wondered how some people can whistle with their tongue with utmost ease and others cannot do it with that perfection? Do you know how to whistle? Fortunately, learning to whistle with your tongue is no rocket science. All you need is some practice and you are good to go. Drink some water to ensure your mouth is moist. Bring your lips in shape of a small 'O'. Open your mouth a bit – it is enough to have a half-inch opening between your both lips. Draw the corners of your mouth as well as your lips back as far as possible. Make sure your tongue is touching the hard palate right behind your front teeth. Flatten your tongue a bit and then hold it taut – your aim should be to block the section between the molar using the sides of your tongue. Blow air gently through the space between your palate and tongue. This will help you make the sound of a whistle. You can use the tip of your tongue to change the sound or key of notes. You can use your breath and control it to determine loudness of your whistle. You can change the position of your lips to create certain effects – you can create a chirping effect by opening your lips a bit as you let the air come out of your mouth. In order to learn how to whistle with your mouth and tongue while blowing air outwards, you first need to master the art of doing it by drawing the air inwards. Simply releasing the air blowing it out will help – you need to concentrate on having a smooth "drawing in-blowing out' motion to accomplish the goal. It will require some practice but it will eventually come to you. Also, keep in mind that this method may not work for everyone; however, you can try it and combine it with some different styles of whistling as well – a great variation is pucker whistling. It can add depth and warmth to a whistled note like no other. You have to use it carefully though because doing it too often will make your whistling sound a bit uncertain and wobbly as well. Start by whistling in or out. Slowly move the middle top part of your tongue close to the roof of your mouth – your hard palate meets the soft palate in this area. Blow gently and while doing so, let the front portion of your tongue move up and down like it is shivering. This will give your whistle a vibrating feel. You can always adjust the vibration of your tongue to control the depth and strength of your vibrato. 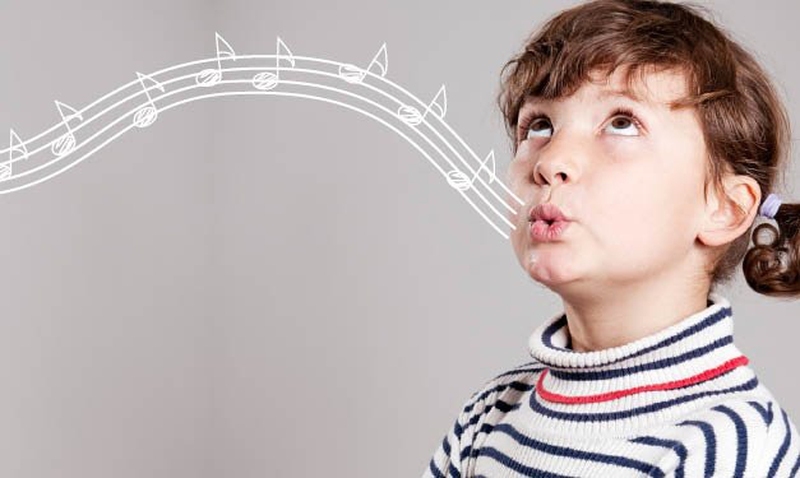 The skill involves learning ways to separate the whistled notes to make them feel crisp. Remember not to do it in someone's face! Start by whistling and then touch the back of your top front teeth to break up your whistle. Then, pull your tongue away from your teeth instead of pushing it toward them. It is quite like what you do when you make the letter "T". You can do it nicely for high notes, but you have to do it from a point on the top of your mouth to blow lower notes. Your tongue will have to go further back to help you blow lower notes. You have to practice hard to master the art of Stacatto whistling, but you will love it when you finally learn it right. Once you have completely understood how to whistle with your tongue, you can then go to the next step of whistling with your fingers. The technique involves using your thumb and index finger. Bend your index finger and touch it with the tip of your thumb. Now, curl your bottom lip in a way that it covers your bottom teeth. Touch the tip of your jointed fingers on your lower lip. Ensure that the tip of your index finger and thumb is touching the bottom part of your pushed back tongue. Press your lips against your fingers in a way that it makes the "V" into which you have to blow. That’s it – you have just blown a loud whistle with your fingers.